That’s what I love about K4P: I get an inside look into what others believe is the way to start solving problems and becoming peacemakers. s a camper before that. Maddie comes from a Christian family, but doesn’t describe herself as highly religious. When she’s not studying, she spends time helping out with her parents’ composting business, working at a local bakery, playing basketball, participating in theater, and daydreaming of joining Kids4Peace again! “Kids4Peace is anything but abstract. We have the rare opportunity of getting to know and love amazing people from halfway across the world—and that’s real,” she notes. She loves learning about the array of cultures and religions represented at camp. She doesn’t take for granted her ability to take part in K4P. She feels lucky to have so much support, and knows that can’t be said for all participants. That’s one reason she hasn’t hesitated prioritizing K4P in planning her last few summers. “I’ve definitely learned a lot about what the day to day experiences are for those I’ve met through Kids4Peace. As a result, my family and friends hear a lot about what’s going on too. When it comes to talking about the conflict, I don’t think people know where to start. That’s what I love about K4P: I get an inside look into what others believe is the way to start solving problems and becoming peacemakers. I picked up a lot of skills as a counselor, namely leadership and listening. One night, there was some religious disrespect going on, and intentional or not, there were hurt feelings. With the help of the other staff members and counselors, we were able to get the campers to understand each other and resolve the issue. As counselors, we got to explore how we can be leaders. It was a powerful transition from camper to counselor, suddenly becoming an adult in this world of conflict. The intermediate time (Leadership Camp) was the place where we learned the most, had the best conversations about the conflict, and could talk about what was really going on. People were serious, and it got intense at times, but we also had a lot of fun. Between us, we built respect and trust, the fundamentals of long lasting friendships. The Americans that participated in this year’s camp in Houston brought their learning and hope back home. They were very enthusiastic when they came, and even moreso when they left. They brought that to their friends, communities, and households. It’s important for people everywhere to understand the different perspectives of people living in conflict in the Middle East, as well as other places around the world—including the US. The US is a great place to host the camps so that we as Americans can understand what’s going on over there. I’m still in touch with my friends from K4P, I feel as close to them as I do with my friends at home. We bonded over exploring different cultures, languages, religions and their respective ceremonies, noting the similarities and differences. I really enjoyed that. 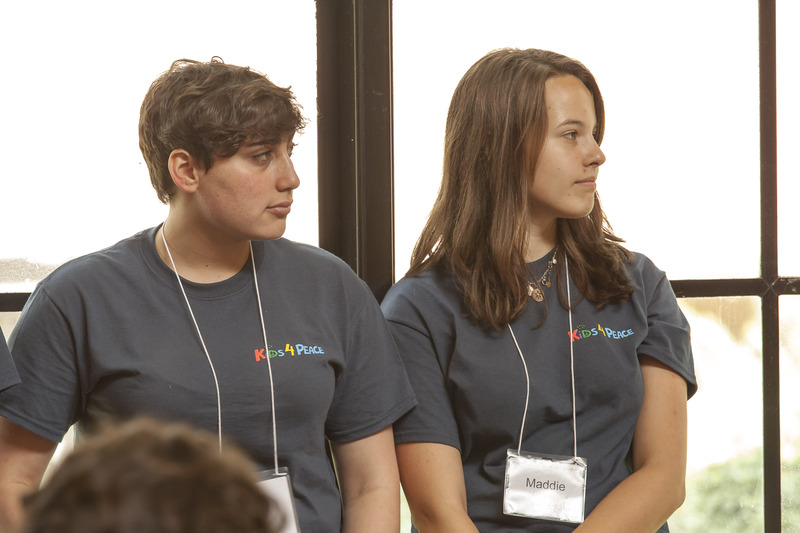 K4P helped stir my interests when it comes to thinking about college. I’m curious about global studies and international relations. I’ve come to realize that regardless of where you live around the world, it’s possible that we’re all still able to connect on a personal level. At Kids4Peace we’re all on the same level, we interact with each other as other people, rather than people from different countries.